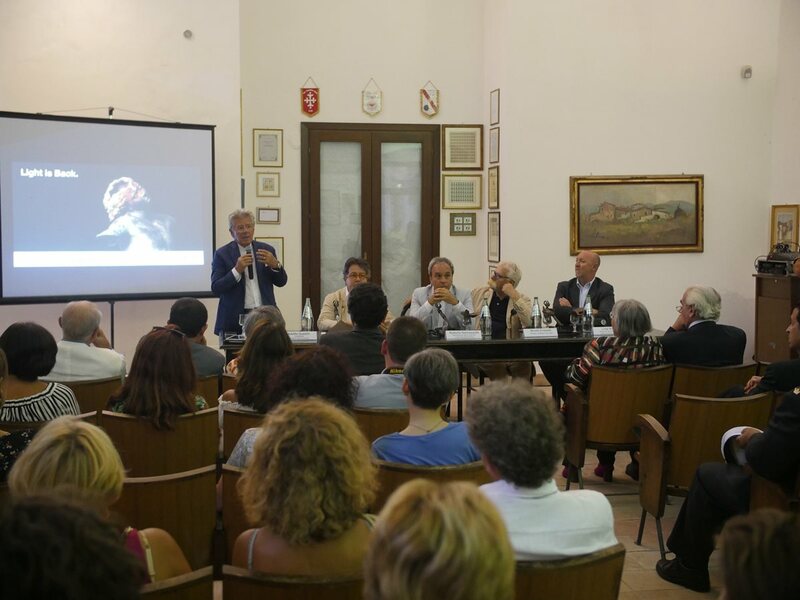 The Department for Cultural Heritage and Sicilian Identity and iGuzzini inaugurated the new lighting project at the Museum of the Dancing Satyr of Mazara del Vallo on Tuesday 17th July. 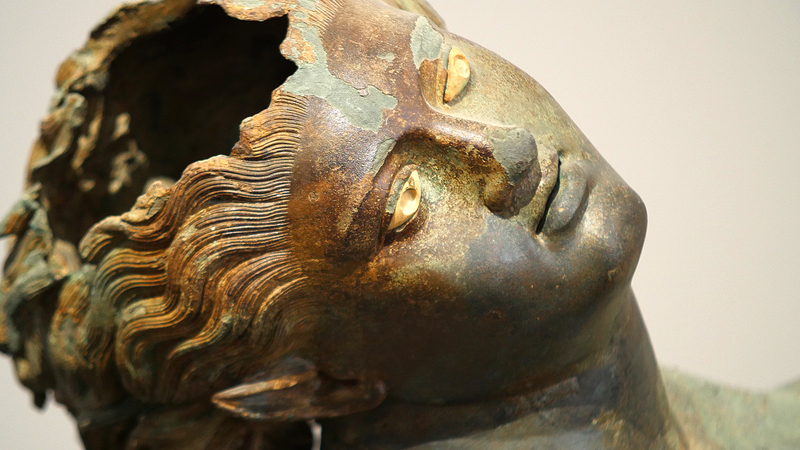 The museum is home to the famous bronze statue dating from between the 4th and 2nd century B.C. and attributed to the Praxiteles school. The statue, found at the end of the '90s in the Sicilian Channel, continues the glorious legacy of Greek art in Italy. The new intelligent lighting system, designed to guarantee the highest degree of flexibility, is able to create customised lighting effects on the surface of the Dancing Satyr statue, meant to enhance visitors’ experience of the beautiful classical masterpiece, including those who are visually impaired. The lighting project is meant to increase the energy efficiency in the museum spaces while guaranteeing minimum visual impact in terms of the light sources. It also improves the system management thanks to LED solutions that use DALI protocol (Underscore 15/18, View, Palco and Linealuce Compact RGBW) managed through a control system. Being able to extend the experience to visually impaired visitors resulted from a close collaboration with Pietro Catalano, President of the Trapani division of the Italian Union of the Blind and Partially Sighted (UICI), who, thanks to the solutions put in place by iGuzzini, helped develop different ways of interpreting the statue. At the inauguration, the classical sculpture was illuminated with different lighting scenarios defined by excellent performers who developed luminous scenes as a result of their personal vision of the work. 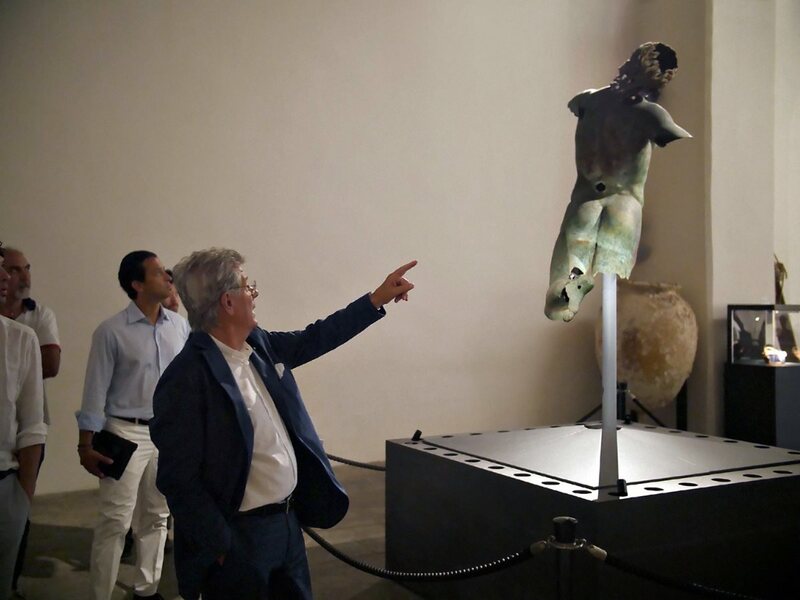 Among them was the Regional Councillor for Cultural Heritage of the Sicily Region, Sebastiano Tusa, who commented "the Dancing Satyr of Mazara del Vallo represents a masterpiece of Greek art testifying the passage from the severe style to the "liberation" style that characterizes the human figure in the early Hellenism. Its uniqueness lies in the genius of the whirling movement that envelops in wind both the body and the beautiful hair. At the apex of Dionysian ecstasy the Dancing Satyr takes a leap and then falls asleep wrapping himself in the panther skin". From this moment on, the different lighting scenarios can be easily reproduced by visitors through a digital device placed in the hall of the former Church of Sant'Egidio. The lighting project at the Museum of the Dancing Satyr, is a step forward in the project “Conoscere la Forma/Knowing the shape”, launched in 2006 by the Research Study Centre of iGuzzini, in collaboration with the High Institute for Conservation and Restoration and the Omero Tactile Museum of Ancona, with the aim of making the artwork accessible to those who are visually impaired or blind. The project also continues the collaboration between the Department and iGuzzini, which started with the lighting project at the Ancient Theatre of Taormina, completed in 2017. The project was carried out by the Energy Service Company Metaenergia (ESCo) as part of the activities planned within the Framework Agreement for the energy supply at the Department for Cultural Heritage. 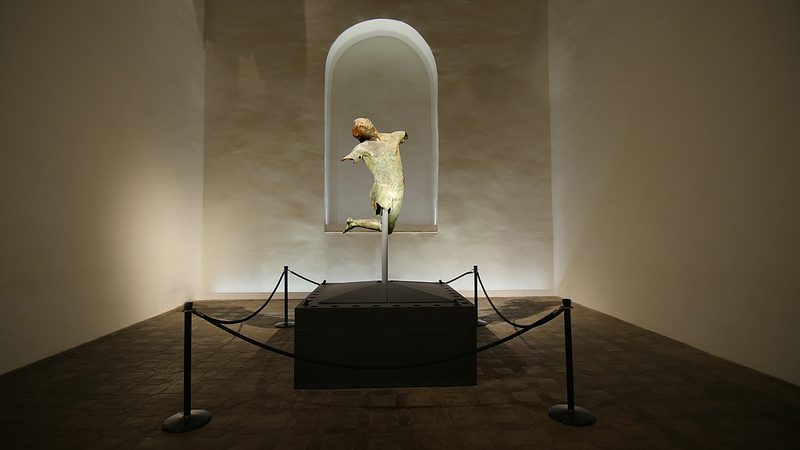 The new lighting project of the Museum of the Dancing Satyr of Mazara del Vallo enters the remarkable list of Light Is Back projects, an initiative undertaken by iGuzzini a while ago to promote various cultural heritage sites worldwide in order to allow people to enjoy masterpieces in their full splendour. "We put our expertise and technology at the service of the community in order to enhance another icon of the Sicilian artistic heritage, through skilful use of light. In fact, the lighting allows opening multiple cognitive paths which give the work of art a completely fresh aesthetic meaning" declared Adolfo Guzzini, President of iGuzzini. Adolfo Guzzini, iGuzzini illuminazione President, Sebastiano Tusa, Regional Councillor for Cultural Heritage of the Sicily Region, Nicolò Cristaldi, Mazara del Vallo Mayor, Luigi Biondo, Museum Director for the province of Trapani and Roberto Sannasardo, Department for Cultural Heritage and Sicilian Identity, and curator of the project, all spoke during the press conference.